What is art? Art is a mastery of expression, stimulating thoughts and emotions. If bits and spurs do not immediately come to mind, think again. Man has always been able to add an artistic quality to even the most mundane tools. If you have an aesthetic eye, an idea of grace and style and a steady hand, why not create a tool that is beautiful and artistic? 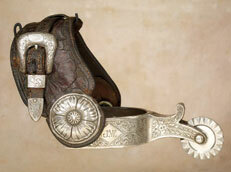 With that sensibility in mind, the artisans who made bits and spurs were born. 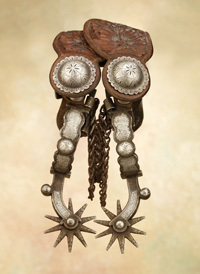 Though equestrian gear has been popular in Europe, South America and Mexico (Spanish Colonial) for centuries, many of the traditional early American Cowboy bits and spurs that helped settle the west originally came through the August Buermann Company founded in New Jersey in 1868. These earliest examples were simple, rugged, sensible strong and utilitarian. However, before long, artists began adding silver, gold and other embellishments to enhance the look of both the horses and their riders. Mexican Vaqueros and later, Californios, became known for the more colorful and intricate designs that captured the eyes of both the onlookers and horsemen people who used them. Spanish colonial and early Mexican spurs transcended the mundane and utilitarian in both form and adornments as the fanciful and regal charro culture crept into the burgeoning California styles popularized by individual makers like Jose and Jesus Tapia (1831-1931), Atanasio Larios (1832-1895), Jose and Vicente Mardueno (1828-1933), the Hernandez family (1841-1900s), Albert Espinosa (1858-1937), J J and John Estrada (1931-1942) and Mike Morales (1888-1934), who were among the most popular independent makers of fine silver, enhanced iron bits and spurs. Later these individuals broadened and incorporated though legendary western saddleries like G S Garcia of Elko, Nevada, Messing & Sons of San Jose, California, and the Visalia Stock Saddle Company of San Francisco. 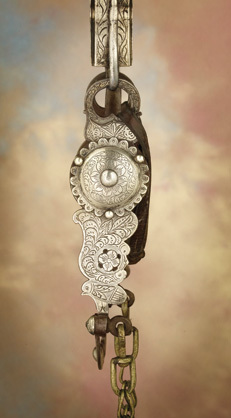 While Texans remained loyal to their utilitarian, hard-working, simple styles, other western and rocky mountain makers like Phillips & Gutierrez and Rex Schnitger of Wyoming and Eddie Hulbert of Montana were beginning to add flourishes and designs unheard previously unheard of including ornate inlays, jinglebobs, double rowels and split Cheyenne heel bands. 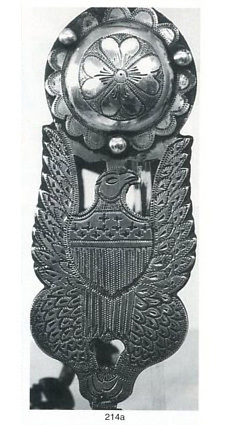 By the 20th century, silver was au rigueur in the designs and contrasted Texas spurs with their nickel, copper, bronze and brass. It's easy to look at these cowboy tools for their function, but upon closer inspection, the expression of the individual makers comes alive and becomes art. High Noon sells more collectible bits & spurs than anyone else in the world. Above: Tapia Bit. Price realized: $50,600.